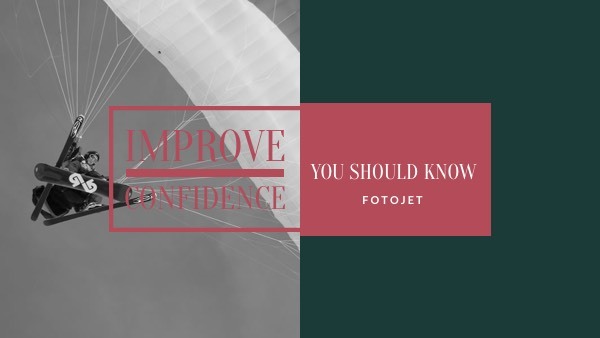 Attract more attention for your videos about how to build confidence by making a stunning YouTube thumbnail that targets people who are not confident enough. The helpful content is important, but an attractive YouTube thumbnail can also play a great role in popularizing your video. Our YouTube thumbnail maker FotoJet will help you to get your own designs. This YouTube thumbnail template is a perfect fit. But you can also upload personal photo to replace the default image and make more adjustments.